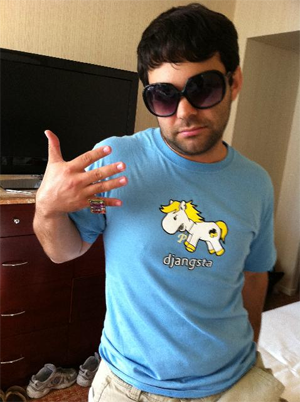 These “Djangsta” shirts premiered at DjangoCon to a rousing success and are selling out quickly! If you are coming to DjangoCon this year, find a PyLady and get one! Proceeds help PyLadies outreach efforts. Shirt logo was designed by xtine. A pre-order form will be available for a reprint run!